This is one of my favorite fish. These fish are commonly available and relatively cheap. The major consideration with keeping a Dwarf lionfish is often they are not trained to eat prepared foods at the time of purchase. As a result, the hobbyist has to provide live foods until the fish starts eating prepared foods. 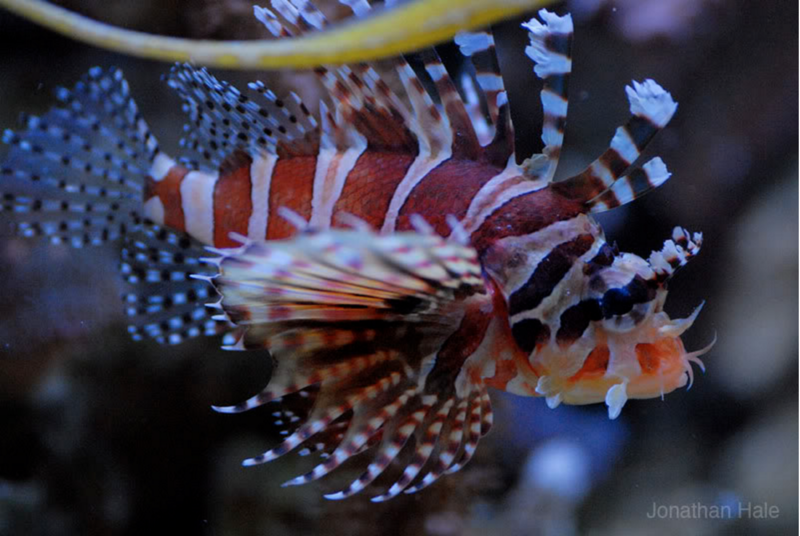 With the appetite the Dwarf Lionfish contains, this could be a daunting and expensive task. Another consideration is they will eat anything that fits into their mouth. This includes your other expensive fish and ornamental invertebrates. Standard reef parameters will suit the Dwarf Lionfish just fine. They have great personality and when eating prepared foods, they will anxiously follow you at the front of the aquarium waiting for their next meal. They do possess poison injected through their dorsal spines so NEVER put your hands around them even AFTER they are dead. It is a completely involuntary sting which means the fish does not need to be angered to release the toxins.